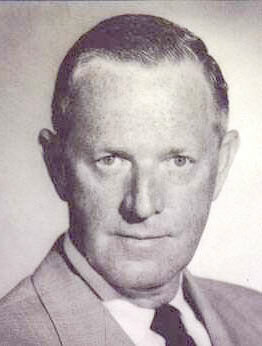 Erskine Caldwell is one of the most widely read authors of the Twentieth Century, with eighty million books sold to readers in forty-three different languages. His novel "God's Little Acre" alone has sold over fourteen million copies. His books have been made into three movies, and the stage adaptation of "Tobacco Road" made American theatre history when it ran for seven-and-a-half years on Broadway. Caldwell is the author of 25 novels, 150 short stories and 12 nonfiction books. His themes were centered around social injustice in terms of class, race, and gender - remarkably, the very same issues we still wrestle with today. His method varied from the fantastically grotesque to the perversely comic, to the grimly realistic. In the early 1930's, he became the most controversial - and one of the most censored - American writers of his time. When the New York Society for the Prevention of Vice tried to ban "God's Little Acre", Caldwell took the case to court. With help from the testimony of H.L. Mencken and Sherwood Anderson, he won his case - a landmark in First Amendment litigation. Caldwell's portrayal of rural poverty in the South was viewed by many Southerners as a betrayal. Margaret Mitchell, for one, criticized both Faulkner and Caldwell for betraying the South for Yankee dollars, and pointed out that "Gone with the Wind" contained "not a single sadist or degenerate." He died in Paradise Valley, Arizona on April 11, 1987.